... LET'S MAKE SWEET JUICE TOGETHER. Our need for volunteers is sometimes a reaction to the workload, some weeks we have loads of apples to press. Or we might be doing a late night bottling session to fit around our day jobs. So if you're flexible and happy to receive regular emails as to when our volunteer sessions run, read on and sign-up at the bottom of this page. 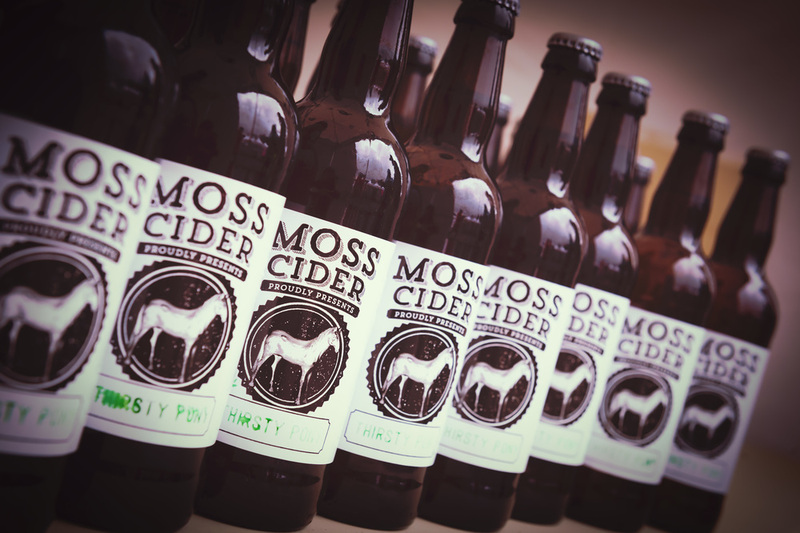 We can't thank you enough that you want to help us make more award-winning cider and juice. Without you we'd still be washing down press cloths at 2am. Yup, been there, done that, got the soggy tshirt. Once that juice starts flowing and you're committed to filling a barrel it's press, press, press until it's full. Making cider and juice brings community together like nothing else. We love sharing our journey with you. We're not gonna lie it's hard graft but a lot of fun! There's a fair amount of repetitive lifting (sometimes 20+kgs at a time). It's messy but worth it for that sweet taste of fresh juice that runs off the press, there's nothing like it! So that said we like to make sure you don't leave the cider house empty handed for your efforts. There are the two areas we need help with. Please read what is expected of our volunteers below. If you have any questions or queries please add these to the message field below and one of the team will get back to you. You'll be helping to sort the apples, which can be gross as we don't want any rot or little nasties in our cider. That's the first line of defence in us making a quality product. Don't worry! Gloves are provided. We then double wash, first is a rinse to free any dirt and debris then a second final rinse. The crates then drip dry for a bit until the apples are ready to be thrown into the scratter, which shreds the apples into tiny pieces ready for pressing. That's quite heavy work. The pomace (apple pulp) then gets lifted to the press. A tub can weigh 20kgs+ so if you need help do let us know and we'll help you. Don't let that put you off as the scratter is great fun to use. The pomace is then scooped into one of two bays on our Voran press. This rack and cloth system is built up in layers until 6-7 layers deep. One of the stronger members of the team will then push the bay into the centre of the press ready for 'The Beast' to turn on. Someone always monitors the juice flow and is on hand to pour buckets of juice into one of our barrels. If this is done often enough it's not too heavy. If you forget to watch it, it can lead to a heavy bucket, or even spillage. The press watcher also looks at the pressure gauge as our press is designed to not exceed 280bar pressure. She's (we think she's a she?) is a sensitive soul and needs a little TLC to make sure she doesn't let us down. There's nothing worse than having to send you all home early if she starts to bleed hydraulic fluid. If you plan on doing the full day, lunch and snacks are a good idea. We'll provide good coffee and tea. It's also advisable to wear wellies and think about a waterproof as some of the work can be outdoors and we get damp and messy. Apple pulp does get everywhere. We have a few cloth aprons that can be worn. Bottling sessions are a lot less intensive than a pressing day. It's a great chance to be the first to try the cider and is a good opportunity to chat about the whole cider making process. If you want 1-on-1 time with the founders Dan & Joe, this is the session to attend. Particularly if you're thinking of setting up a similar project in another town/city. We only need about 3-4 volunteers to have a dream-team. These are usually an evening, mid-week and we go from about 8pm to 10-11pm. One person to collect and rinse the new bottles. One person operates our 4-head bottle filler. Then someone is on capping. Depending on what we plan to get done there may also be some batches that need labelling and boxing up. Most of our bottles go out in boxes, these come flat-packed. So need making up, dividers inserted, taping up and then labellleling with the batch number. You don't really need to bring anything, we'll have good coffee or tea for you. It tends to be cleaner than pressing and involves a lot less heaving lifting. Although crates once loaded can easily be 20kgs+. We tend to swap roles throughout the night as the same action for 3 hours can get a little repetitive. Thank you so much for signing up to volunteer. You'll receive regular (hopefully not spam worthy) emails from us with the next opportunities to volunteer. Hopefully at some point there will be a session you can attend.